Comes in a convenient one-handed dispenser. 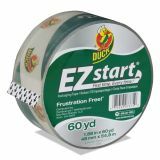 Duck EZ Start Premium Packaging Tape, 1.88" x 60yds, 3" Core, Clear - Sealing tape features unique EZ Start to eliminate any difficulty in starting the roll. 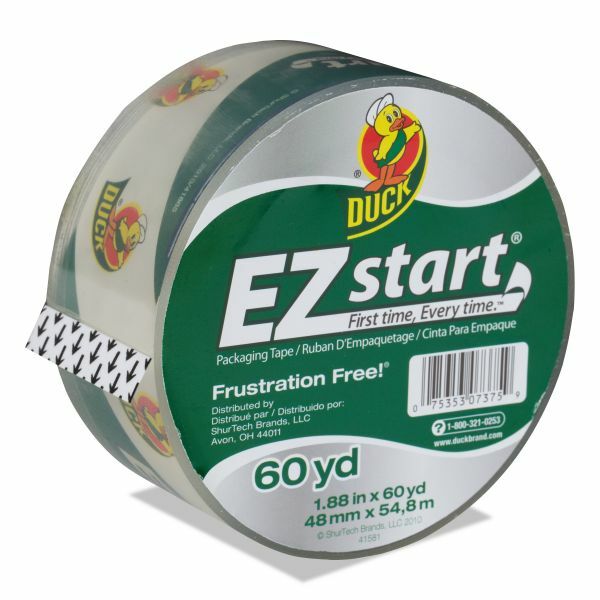 Tape unrolls smoothly, quietly and easily the first time and every time. No more splitting or tearing. Packaging tape meets U.S. Postal regulations and offers a 2.6 mil thickness. 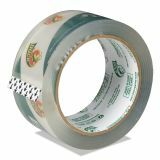 You will no longer have to waste valuable time searching for the tape end because the dispenser holds it for you.